There are 7 Memory Care Facilities in the Lithonia area, with 1 in Lithonia and 6 nearby. The average cost of memory care in Lithonia is $4,250 per month. This is lower than the national median of $4,650. Cheaper nearby regions include Conyers with an average starting cost of $2,750. Caring.com has helped thousands of families find high-quality senior care. To speak with one of our Family Advisors about memory care options and costs in Lithonia, call (855) 863-8283. Lithonia is located in eastern DeKalb County and is part of the Atlanta-metro area. It is home to many seniors, who comprise 12 percent of the population, some of whom live with Alzheimer's disease or other types of dementia. The county has 12 memory care facilities while dozens more can be found in Atlanta and its myriad other suburbs. As with all of Georgia, memory care facilities in Lithonia are called memory care units, and they exist as self-contained units within larger assisted living communities or personal care homes. For seniors who enjoy watching the seasons change but want to avoid brutal winters and oppressively hot summers, Lithonia offers a great balance. The city gets 218 sunny days per year. Its average July high is less than 90 and snowfall is minimal — 1 to 2 inches per year. Memory care residents and families should have an umbrella handy, though. Lithonia's annual rainfall is 51 inches, 12 inches higher than the national average. Lithonia's cost of living is right at the national average, but high transportation costs — owing to the number of residents who battle Atlanta traffic to get downtown — make the city appear more expensive than it is. Housing is one-third lower than average, making Lithonia the perfect place for families wanting to settle down near their loved ones in memory care. Residents of memory care facilities in Georgia enjoy friendly tax treatment, leaving more money in their pockets for health care needs in Lithonia. The state does not tax Social Security income. It also offers a $65,000 deduction on retirement income for residents 64 or older. While Lithonia has higher-than-average crime rates on paper, this statistical quirk is common with tiny towns nestled in much larger metro areas and is not representative of the actual safety of the city, which is a peaceful place. Moreover, memory care units have a host of safety and security features, including cameras, guards and secure entrances. Memory Care costs in Lithonia start around $4,250 per month on average, while the nationwide average cost of memory care is $4,799 per month. It’s important to note that memory care rates in Lithonia and the surrounding suburbs can vary widely based on factors such as location, the level of care needed, apartment size and the types of amenities offered at each community. Lithonia and the surrounding area are home to numerous government agencies and non-profit organizations offering help for seniors searching for or currently residing in an assisted living community. These organizations can also provide assistance in a number of other eldercare services such as geriatric care management, elder law advice, estate planning, finding home care and health and wellness programs. To see a list of free memory care resources in Lithonia, please visit our Assisted Living in Georgia page. 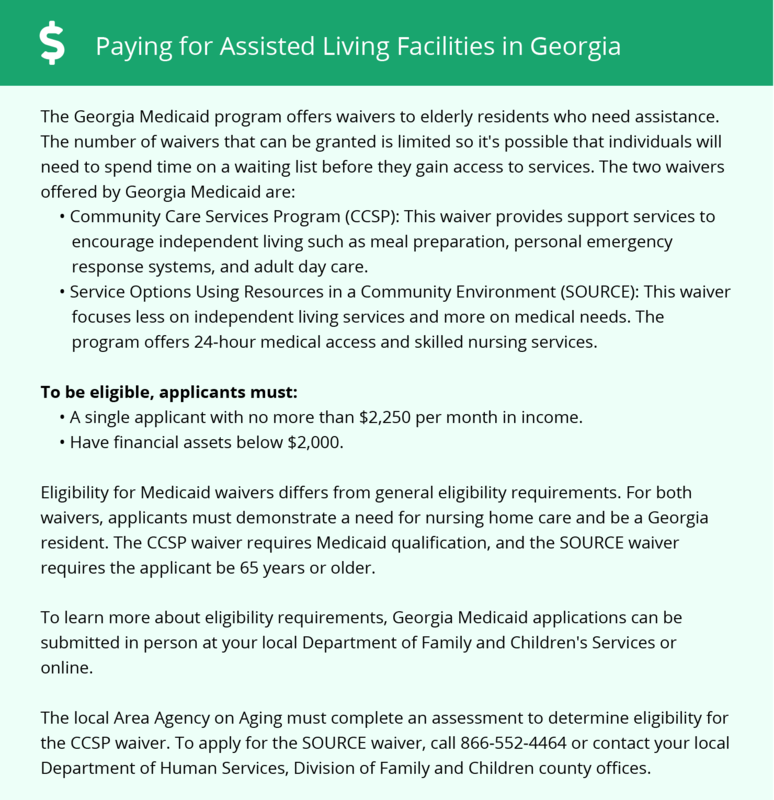 Lithonia-area assisted living communities must adhere to the comprehensive set of state laws and regulations that all assisted living communities in Georgia are required to follow. Visit our Memory Care in Georgia page for more information about these laws.